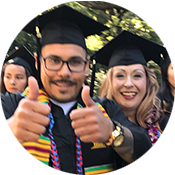 If you would like to take Gavilan College courses located on your own high school campus, please see the High-Step program. Meet with a high school counselor to determine if concurrent enrollment is possible. Complete and submit the online Gavilan College application. Processing of the application may take up to three (3) business days. An email will be sent with instructions on how to login with your Gavilan ID number when processing is complete. Consent of parent or guardian. A list of Gavilan courses that the high school approves student to take. Recommendation and consent that the student is in good standing and has the ability and maturity to benefit from college-level instruction. If needed, register for a Gavilan Placement/Assessment test for skill assessment in English and Math. (Only required if desired course has a math or english prerequisite). Review test scores with a high school counselor to determine Gavilan course selection. If "home schooled", must provide verification that the school is registered with the school district in which it operates or an R-4 affidavit. Register for courses. High school student MUST bring completed high school contract and registration card to Admissions & Records counter or the Hollister or Morgan Hill site to register. 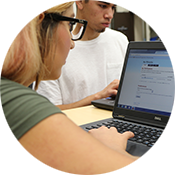 Complete and submit the online Gavilan College application. Verification of non-enrollment and release from school district in which the student resides. Provide a transcript from the last school of attendance verifying good standing and eligibility to continue. If "home schooled", provide verification that the school is registered with the school district in which it operates or an R-4 affidavit. Interview with a Gavilan College counselor. Obtain approval of the Gavilan College counselor or designee. A student whose age or class level is equal to grades 9 - 12 may attend Gavilan College as either a special part-time student or a special summer session student for advanced scholastic, vocational, or physical education courses in accordance with the policy adopted by the Board of Trustees. All admitted students must meet matriculation requirements as applicable including assessment of math and English skills, and will receive college credit, and will provide their own books and instructional materials. Students under the age of 14 will need to submit a paper application. Special students may file an Application for Admission at any time and may register during the Open Registration period. A completed Special Student Status Contract form with all necessary signatures and a registration card is required. Students who qualify for and wish to enroll in special education services should contact the office for Disability Resource Center (DRC). In general, Special Students must have a minimum cumulative grade point average of 2.00, and/or be in good standing and eligible to continue at the last school of attendance. The instructor of the course in which the student is enrolling may evaluate the student's ability to benefit from instruction when the course begins. The instructor may request the administrative withdrawal of a student if appropriate. All course prerequisites will be enforced. All Gavilan College students are subject to the College's academic rules, regulations and codes of conduct. For additional information regarding this policy, contact the Admissions and Records Office at (408) 848-4733 or the Counseling Office at (408) 848-4723. The high school contract is available for printing.